Newstead's lectures: Geometric Invariant Theory. Construction of moduli spaces following Simpson. Topology of moduli spaces of vector bundles on curves. Geometry I: Irreducibility, rationality, projective embeddings, Verlinde formulae. Geometry II: Torelli theorems, maximal subbundles, Brill-Noether theory. Langer's lectures: Bogomolov's instability and restriction theorems. Results of Gieseker, Li and O'Grady on moduli spaces of semistable sheaves on surfaces. Determinantal line bundles and Le Potier's strange duality. D. Huybrechts, M. Lehn: The geometry of moduli spaces of sheaves. Aspects of Mathematics, E31. Friedr. Vieweg & Sohn, Braunschweig. P. Newstead: Introduction to moduli problems and orbit spaces. Tata Institute of Fundamental Research Lectures on Mathematics and Physics, 51. Tata Institute of Fundamental Research, Bombay. J. Le Potier, Lectures on vector bundles. Cambridge Studies in Advanced Mathematics, 54. Cambridge University Press, Cambridge. 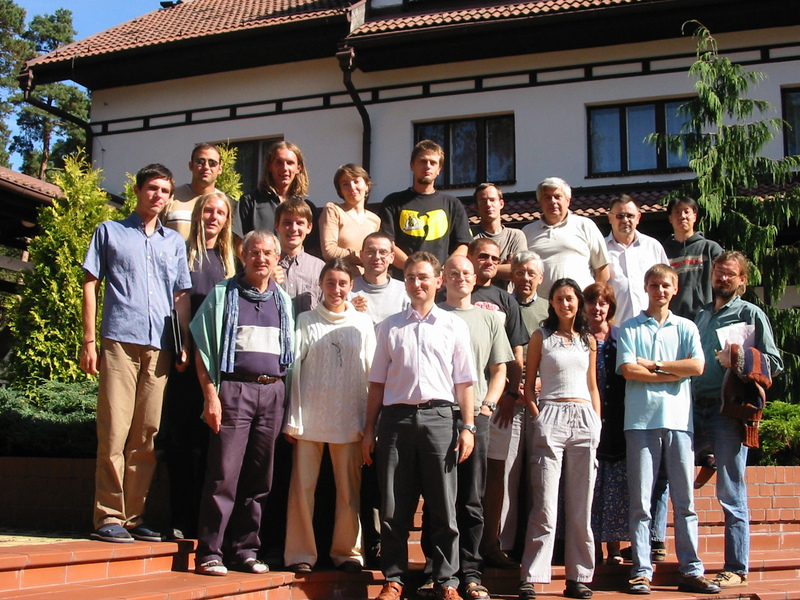 The school was financially supported by Institute of Mathematics of Warsaw University, as well as by Polish State Committee for Scientific Research and EAGER (European Algebraic Geometry Research Training Network, EC contract HPRN-CT-200-00099).